Let’s keep on stocking up our Japanese pantry. In the first part I showed you my top five basic ingredients, and in the second part ten more basic ingredients you’ll probably in most of the traditional recipes. 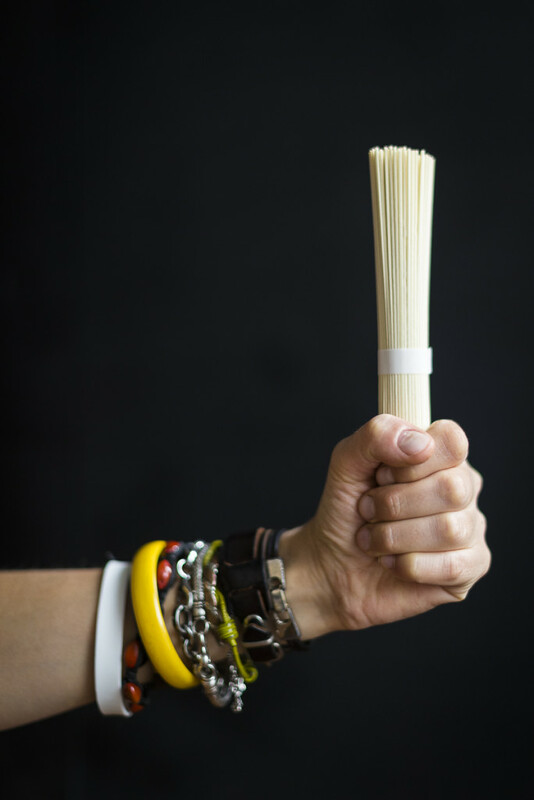 Today I want to talk about Japanese noodles and in the next parts I will continue with fresh ingredients, optional ingredients and maybe a few tips about the cooking itself. 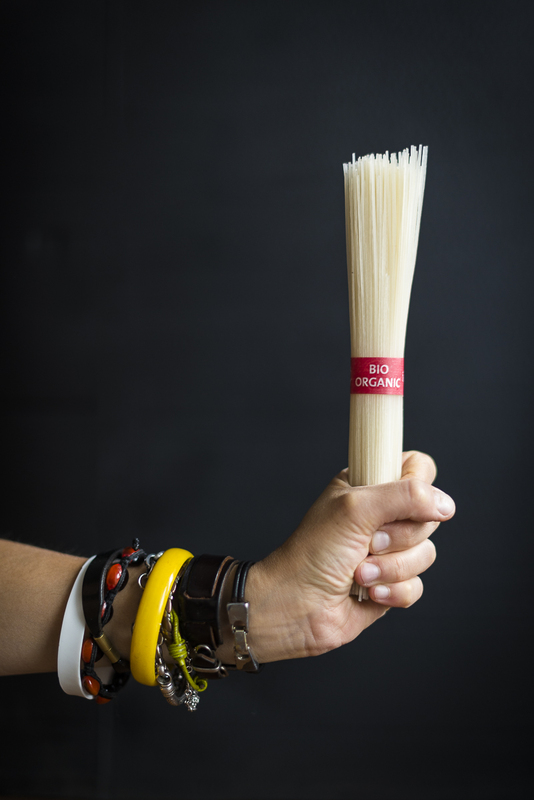 As opposed to the Italian pasta, that comes in the two main categories “with egg our without”, the Japanese noodles already differ in their ingredients for the dough: rice, wheat and/or buckwheat, noodles with egg, without egg, noodles made out of konjac yam and so on. Also, almost all noodles are in thread form and have the shape of slightly shorter spaghetti. Some are very thin, some quite thick and in some cases they are a little flat like linguine or tagliatelle. The ingredients and the thickness of the noodles influence their taste but also their consistency. Japanese noodle dough is usually made with a lot of salt – this has a historical reason because traditionally it was (and still is sometimes) made with sea water. To compensate the high amount of salt the noodles are cooked in completely unsalted water. Another difference from the Italian pasta is the handling of the noodles after the cooking: Japanese noodles are cooked and then immediately washed unter cold running water to stop the cooking process and to wash away excessive starch. Afterwards the noodles are eaten cold or they get warmed up again in hot broth or in the wok. Making noodles is a Japanese art. Noodle makers can roll out their dough to a perfect rectangle with the perfect thickness and they keep their secret recipe for the dough like Gollum his “preciousss”. They have “their” flour, “their” water and adapt their recipe to the current weather conditions. Ramen (vegan). The queen of the Japanese wheat noodles should best be eaten fresh in one of the many noodle bars in Japan. It gives the Japanese noodle soup, that is also called Ramen, it’s name. It is very hard to come across a traditional recipe because nobody likes to give away their secret. Ramen are made with lye water that has a special mineral level and gives the dough the unique colour and taste. It also influences the consistency. Still you can buy dried Ramen noodles in the shops, even if they aren’t quite the same as the fresh ones. Ramen are best eaten in a soup. 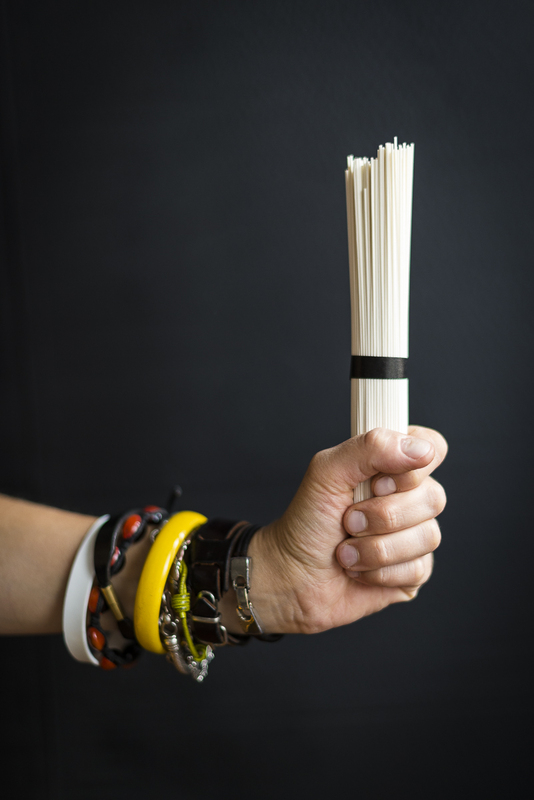 Somen (vegan). 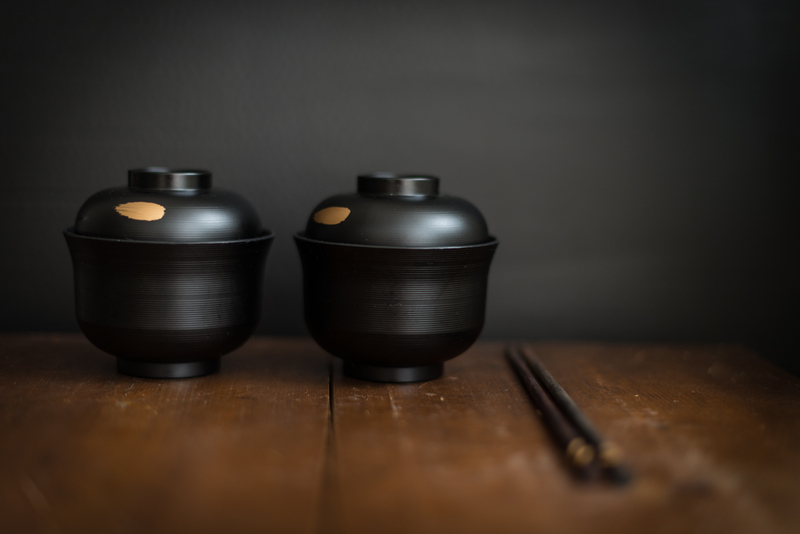 Somen are the classic wok noodles and are made out of wheat. They are snow white, very thin and just perfect for stir-frying or mixing with other ingredients. Soba (vegan). “Soba” means buckwheat in Japanese. Making those brown, thin and aromatic (almost nutty-flavoured) noodles is an art form: Good soba noodles are almost completely made with buckwheat and contain just enough wheat to make the dough formable. If you ever made pasta/noodle dough with buckwheat you know how brittle the dough is and how hard to handle. The darker the noodles are the higher is the amount of buckwheat and the higher the quality. Soba are rarely fried and much rather served with nothing more than a dip or are the basis of soups or stews. One of the most important recipes with soba noodles is “Zaru Soba” – a perfect dish for hot summer days. Udon (vegan). These thick, elastic wheat noodles are one of my absolute favourites. If you want to buy udon noodles you should get the preboiled ones that you just have to warm up again. The dried ones aren’t really recommendable. Best they are made fresh and from scrap. To make the dough that elastic you stomp it with your feet, always a fun thing to do. Udon noodles are perfect for soups but also for frying them in a wok. Shirataki noodles (vegan, gluten-free). 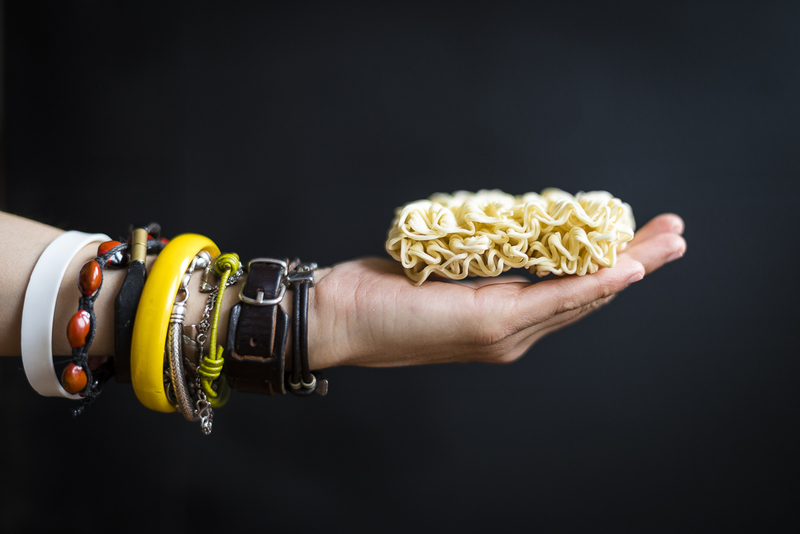 These almost flavourless, slippery and almost jellylike noodles are made out of konjac yam and are therefore grain-free. They are sold in small plastic bags or containers filled with liquid and don’t need to be cooked before using them. You should wash them though, otherwise they tend to be a little sour from the preservation liquid. They contain no calories and are loved for diets all around the world. They also enhance the flavour of other ingredients and you can use them for almost anything, from stir-fries, (miso) soups or even salads. 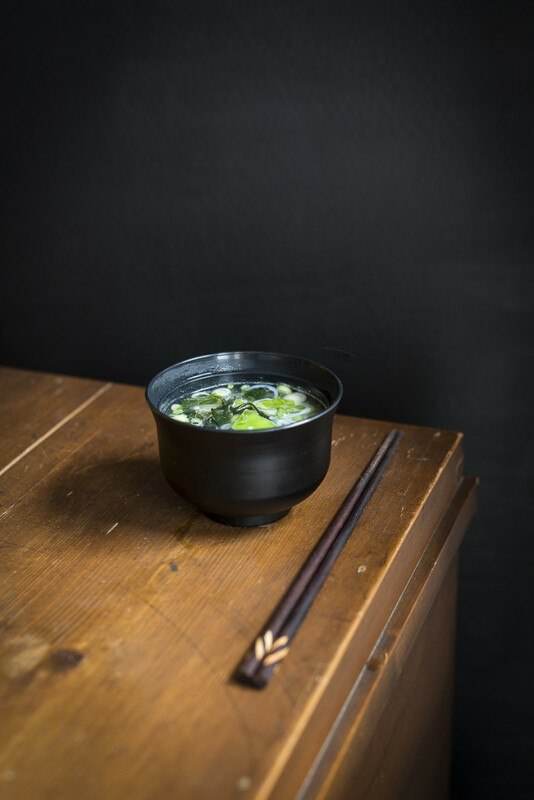 You find a recipe for miso soup with shirataki noodles at the end of this post. Mie noodles (vegetarian). 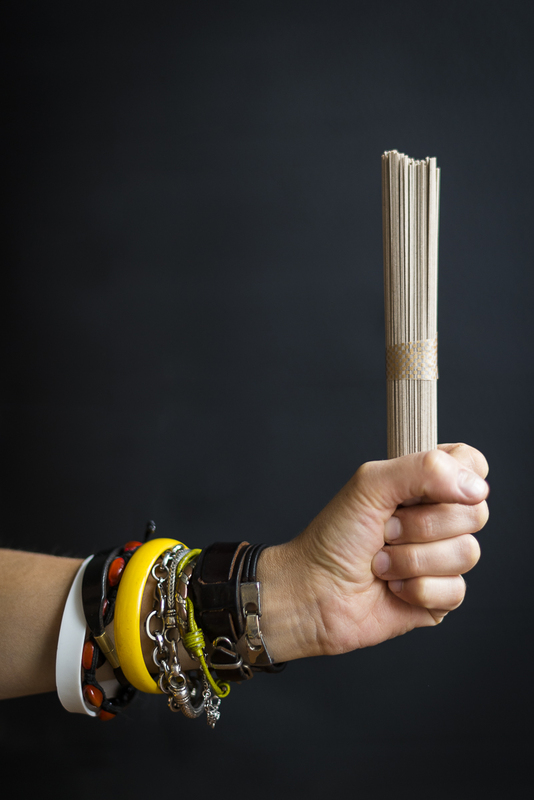 These – originally Chinese – noodles aren’t sold in cylinder-shaped bundles like most of the other Japanese noodles are, but in of small blocks. They contain egg and are therefore creamier than the noodles I told you about above, so they are just perfect for wok dishes. Rice noodles (vegan). You can find rice noodles in a lot of different colours, like the rice they can be made from. They can be white and almost translucent, brown or even almost black. You can use them for soups or stir-fries. Put the wakame in a bowl and generously cover them with water. 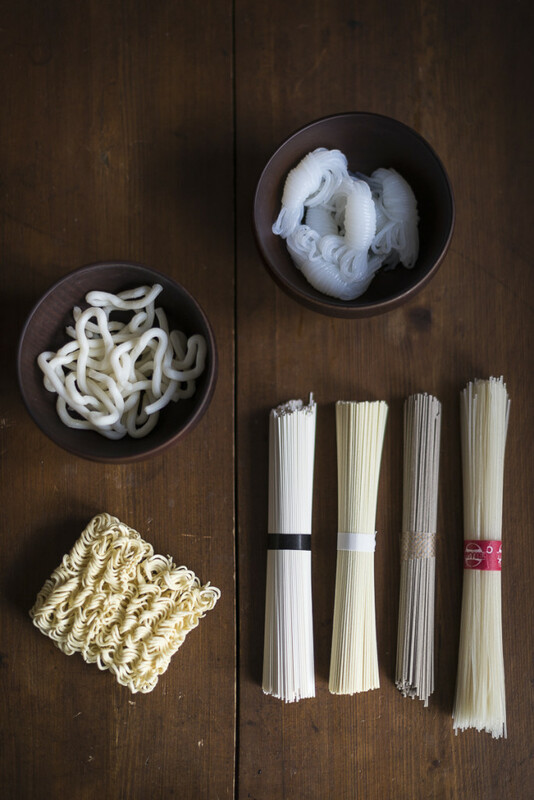 Unravel the shirataki noodle bundles and wash them under cold water. Strain them through a sieve and divide them into two bowls. Wash the spring onion and cut in into rings. Strain the soaked wakame and gently squeeze them with your hands. Divide the wakame and the onion rings into the two bowls. Add water and kombu in a pot on medium heat. Bring the water to a boil, then turn off the heat completely and add the bonito flakes. Wait until the flakes are fully soaked and have sunken to the ground of the pot. Pour the broth (you just made Japanese dashi) through a sieve and pour it back into the pot. Add the miso paste, stir it until it has dissolved completely and bring it to a boil again. Pour it over the shirataki noodles, wakame and spring onions in the bowls and serve hot with a few drops of sesame oil.